After high school in Brooklyn, Man Ray made his most significant stop as a student artist at the Ferrer Center, a hub for cultural and political radicals. There he studied with the progressive Robert Henri and took cues from the European-oriented modernist Max Weber, whose familiarity with Cubism and Futurism was a stimulus for the young artist. In late 1913, May Ray would no longer paint directly from nature but rely instead on sources like his own memory. 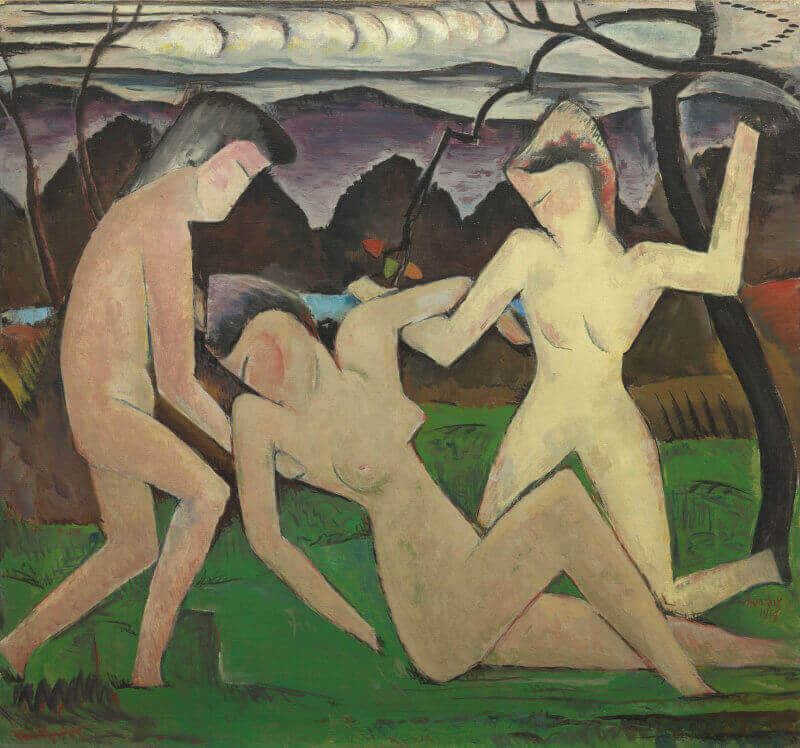 In Departure of Summer (1914), he depicted three nudes in a verdant landscape whose flat, angular forms bear less resemblance to Cezanne than to Demoiselles d'Avignon'' of 1907 by Picasso. The distorted shapes, fresher colors and freer style were preludes to more dynamic images, and the exaggerated forms evoke a jungly kind of plant growth and whose Fauvish colors are uncommonly bright for the period.